These flowering Kale varieties are suitable for pot and bedding plants as well as landscaping. Harmony and Rias have very sharp lobing leaves. Harmony is more red to deep pink color mixture with white. Usually Rias plants split half white and hale red. F1 Shirozukin No.1 and Akazukin No.2 have finely fringed leaves and F1 Shiraho and F1 Benikagami do slightly waved leaves. They are all very cold hardy plants. The plant is dwarf and spread wide. Fruits is small and placed upright. Starting with purple, the color of fruits changes to orange and then red. It is suitable for pot and bedding plants. Summer Lavender is producible through spring to autumn because of its free flowering habit. The color is lighter during hot summer period but becomes clear darker rose when it is getting cooler. 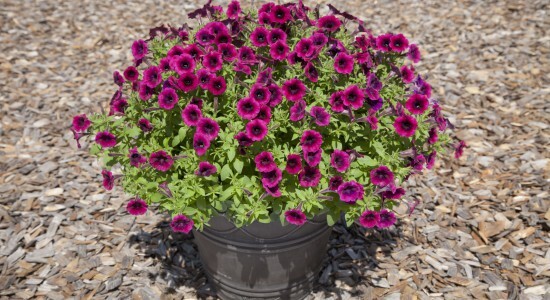 It is suitable for growing in the different size pots. In the garden, the plants spread 60 cm with height 80 cm.